I knew she was baiting me with that remark, but said nothing more on that subject, only mentioned I still had some unfinished business, and information I needed. So, the knock on the door did not come as a total surprise, much like the rain bursting from the darkening cloud I had been staring at from my window as I drained the last of my coffee from the pot I had sent up with my breakfast order. Another thing to be thankful for. A peep-hole in the door. “I don’t remember telling you where my family was from.” I said, so surprised by her question I knew she could see it on my face. “Yes, I know about all of that, but why are the Romanians ‘feuding’ now with the Germans in old Transnistria? Weren’t most of those Germans Evangelical Lutherans or Catholics? 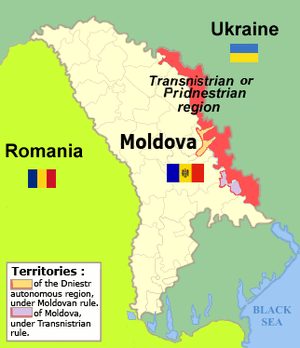 Isn’t there a lot of Catholics or Protestant Romanians in Moldova? Wouldn’t they be like on the same ‘team,’ to use another metaphor?” I asked. “Yes.” I nodded slowly, the realization settling now like the Siberian frost. “Who is it at the Moldavian consulate’s office that decides if a press release is allowed, or not, on something of such sensitive material?” I asked. “And the candidate running this time around?” I asked. ‘Dug up?’ Oh, just an old journal .If you only knew, Irina. With a long sigh, I refilled our coffee cups. This is going to take a while. “When we got to the camps in Transnistria the children were yanked away from their parents and separated, some never seeing one another again. A soldier pulled me from my mother’s arms and she screamed at him as he hit her repeatedly. I was dragged away. They would not let us say goodbye, hug or anything. She started crying out, “Yeshua, Yeshua!’” His voice broke, trying to hold back sobs as he pulled out a handkerchief and blew his nose. Unaware I had drawn the stares of others in the café I sat tapping the fork on the rim of the plate, my food untouched, cold, my mind and thoughts thousands of miles away. “Are there any family members still living in Russia?” I asked her. “Maybe. I don’t know. But, there was one,” she replied. “A long time ago, in the 1930 s, a woman, by the name of Magdalena. She was your great, great grandfather’s younger sister. The Russian officials told him once that her husband and children perished in the Stalin purges when they rounded up the Christians and political dissidents. They were exiled to Siberia. They were Christianized Germans. All died in the gulags, or prison camps, they were told. The authorities claimed they committed crimes against the state. A letter came once from another German villager telling him she was alive at that time. But they did not allow her to write or contact him. When the family inquired to the authorities about her they claimed they had no information at all except to say they could not locate her. All correspondence stopped after that letter.” Grandma continued. “You mean because she was ethnic German? Which put her in danger with the Russians if she sided with the Germans, accused of collaboration and all?” I asked. He was perhaps in his late seventies, hunched in the shoulders. His worn work clothes showed the signs of one who was used to the toils of hard labor. He took off his hat and wiped the sweat from his forehead as we walked. His hair was graying, thinning, his skin with sun spots showing age and time spent outdoors. Our chance encounter was not what I would call a coincidence, but rather one destined to help enlighten me on family secrets and histories buried here like the graves I documented. He pointed to an area just down the street where shade trees hung heavy with limbs full of summer’s foliage and grass that grew thick and coarse. A little park nestled in the middle with old swings, slides and empty benches. We walked to one and sat down. “Jacob, could you tell me what you know about your family? Where they came from? Where they settled”? He nodded, quiet at first as if collecting his thoughts, then began. “I was born here in Transnistria, in Colosova. My families were farmers. My mother’s name was Raisya, my father was Anton. His family came from Wurttemberg, Germany, originally, but lived in Prussia before they immigrated to Bessarabia”. “Were they part of the original German Lutheran groups of colonists that settled here in the early 1800 s”? I asked. “There was Johann, Adam, David, Rueben, Elizabeth, Jacob…” He went on, as he named all those on the Mengelder family graves in Pridnestrovie cemetery. “My own grandfather’s name was Jacob. He always wanted to be known as just German, although his family were registered as Lutherans on church records. He always said that a ‘good German could be proud of their heritage.’” I said, smiling. Jacob’s reply to my comment was like a firm rebuke, leaving me embarrassed over my remark, yet I did not feel the sting of his correction. It made me appreciate his perspective, and I felt admiration for this thought-provoking man. My fingers are stiff, numb from the pain of cold and frost. I don’t know how much longer I can keep the journal, record the things I know and have seen. If caught, I know I will not see my son and wife again. It is for Jacob, Raisa and the rest that I write this and hope one day it is found by someone who will learn the truth. Oh, eternal God, redeemer, Jehovah, cover us with your mercy. Deliver us. Our food line today was shorter. The faces of some I saw before, now gone. We are served meager rations of bread with a thin gruel. I saved back some of my bread, eating only a small amount so I could leave more for Jacob. He is running a fever. I fear he has caught the dreaded Typhoid. Like his brother, Joseph, and many others who have already died. The smell of unwashed, lice infested bodies emaciated in their soiled rags fills my nostrils. Huddled together, bent over, joints stiff from the cold, eyes protruding from dark sockets many look like the walking dead. They will not survive much longer. When I look at them I see myself, a bony protrusion of brittle stick like limbs. Crudely built cots made from slated wooden crates are pushed together to hold all of us crammed together in the old warehouses. There is no heat. We are given no wood or coal to build a fire to warm us during the winter months. Guards laugh, calling us their “prisoners” and tell us we must serve time for our “indiscretions committed against the Reich’s commander and chief.” I have been assigned to a construction site at their barracks. We are inspected and closely watched as we are rounded up each morning before dawn, stand in line while they call our numbers, and wait while they check their lists for those now dead or anyone missing. When that is done we are given our ration bowl, devour its contents hungrily, work for hours with no breaks, little protections against the harsh winds and cold, then marched back to our quarters at the end of the day. That is when I saw him. Mueller, a Jew like me, now claiming to be converted and baptized hides behind his altered documents wearing a crisp clean uniform given to him by the Reich’s commander in the Romanian Iron Guard. His pious look fools no one. His heart is as cold and bitter as the soup in the steel drum. They serve him soldiers’ rations, allow him to bathe and use their toilets, and drink their liquor. But, he has betrayed us all, turning in our names, giving them information about our family members, our history, and circumcision. We are all marked for death, because of him. I have seen him staring at me with suspicious eyes when we are marched out, and ordered to report each morning. I worry that he may know what I do, or where I hide as I write this. Our families once farmed, side by side, breaking ground, planting, cultivating. They celebrated harvests, shared the bounty, and suffered through the bad years, together. We were brothers in spirit, working alongside, believing that one day we would rise up and join others in an insurrection to turn the tide and see a democracy born from this anarchy. But, it is for naught. We are brothers no more. He is free, to live. I am destined to die. Time is short. I fear I will not be alive much longer, for the things I know and write about will be found. Oh, my dear Raisa and Jacob. Where did they take you? What have they done to you? Will we ever be together again? I cannot bear to think what they will do to you both if they find me with this. When I’d finished my notes and reports I sent off an e-mail to Jeremy marking it ‘priority,’ asking him again to review, translate and do a thorough search on the names. Grigoriopol sits on the border of eastern Moldova and the unrecognized territory of Transnistria. It was geographically a strategic place for me to stay. But, politically it was a controversial site of contention between the two divided regions, home to several ethnic groups of people, the predominant ones being of Romanian, Ukrainian and Russian extraction. The Armenians founded the colony in the 1700 s before the German colonists came, settled in, and then moved on because the two groups could not get along. The Mengelders were part of that first group of Germans. A café sat on the far end of the street where they serve German, Russian and Romanian cuisine. A newspaper/printing office, convenience store, gas service station, and the small inn were all that remained open, or lit up at 10:40 p.m.
Few residents could speak English, except Olga, the owner and manager of the small inn where I stayed. It was the neon sign above her establishment that I found comforting now as I entered through the front door with my bag, exhausted from hours of walking with little else on my mind but getting safely back to my room at Olga’s. The snacks from Olga’s trolley cart, and a hot bath helped revive my weary body, but the lure of the journal was too tempting to climb into bed for the much-needed sleep. Over cups of hot strong tea and magnifying glasses I examined and studied its contents while sitting up in bed. A soft knock on my door, and I was once again feeling as if caught with ‘forbidden fruit’. throwing my robe across my laptop and notebook beside it. When satisfied I’d camouflaged all, I walked to the door, waiting to hear a reply. When I opened the door, Ms. Levitchi held out the tray showing me her best smile with her crooked, yellowed teeth. Her teased mop of uneven bleached locks, and thick dried slabs of pancake makeup pasted on her plump rouged cheeks showed creases under her eyes and chin where folds of old fat sagged. Bidding her a goodnight, I closed and locked the door again, placing the tray on a table and ate the beet soup, and black bread, hungrily. Now, back to the journal. The script was difficult to read written in old German and Cyrillic. A chronological order of events were recorded, births, marriages, weddings and deaths documented, as well as the happy, sad and some very tragic. Some where the ink was faded would need strong magnification or deciphering. Initials were used rather than full names, I presumed to keep the writer’s identity secure, different ones used throughout the journal recording families migrating from Wurttemberg, Germany, up into Prussia, then into Bessarabia in the late 1700 s by wagon and later by boat as they crossed the Bug River to Bessarabia, and later the Dniester to new settlements. Hmm. Similar to what the old man said. Before I settled in for the night I sent off an email to my cousin, Jeremy telling him about my day, the accident I witnessed, Irina deserting me, and the long walk back. What I did not tell him was the journal I’d found, afraid I might get a lecture from him. The guilt of what I’d done, taken from one’s grave weighed heavy on my conscience. But, knew it was just a matter of time when I would have to trust him with that information and ask his help in transcribing it once I had scanned it all and sent it to him in an attached file. After typing some notes and saving all into my laptop account documents I forwarded him copies. Comments I posted to my web blog, The Quill and Quest were made public to associates and peers. But, other information concerning my assignment here was known only to Irina, the consulate, my family and the U.S. G D H&R in Washington. When I was done updating my reports and travel log, I sent the attachments to my account back home, then deleted them from my laptop, except for those still on my flash drive which I wore on a chain around my neck. With my passwords changed frequently Jeremy was the only person I trusted and who had access to all. An alias profile and log-in user name helped keep my account secure, preventing anyone else access and learning the identity of sweetpotatopie@Quill&Quest.net. Nebraska was nine hours behind Moldova’s time zone, so I could not always make direct contact and cell phone signals were not the most reliable on the steppes. When I made a call there was often sounds of garbled or static interference, disrupting wireless connections. Calling Jeremy, my supervisor, or anyone from home from outside my room or the inn seemed still the best practice. The signals were better, but it was also more private, away from listening ears. Finally, I logged in to my Quill and Quest blog, sent comments, logged out, then logged into to my social network accounts leaving nonessential posts there, and logged out. As long as I made contact and commented on what another cousin called “predictable quibble and trivial drivel,” what little my ‘friends’ knew what I did, where I was, the better. After shutting down my laptop, and the journal put away, my strained eyes, overtaxed brain and aching body succumbed to the exhaustion as I fell into a deep sleep, alone with my thoughts, but not in my dreams, seeing things, places, and faces of people, not all of them friendly. Working my way west towards Grigoriopol I kept below the ridge in what looked like a dried up culvert running parallel to the road. When I heard the sound of a car coming I climbed back up towards the road to see if it was Irina’s car. But, instead it was a Tiraspol police car. A wrecker followed close behind. Soon after a late model sedan with tinted windows appeared, all headed towards the accident scene. Keeping out of sight, I turned and headed back down along the road towards the old German villages of Bergdorf, Neudorf and Gluckstal. Now, renamed Colosova, Carmanova, and Hlinaia during the Soviet era, the former colonies with their attached ‘collective farms’ looked uninhabited, almost ghostly, like the old ghetto near the cemetery. When I asked Irina earlier that day if we could stop and explore the old settlements she refused my request. “Why? There aren’t any villagers still living there. So, there is no one around to take us through them. Besides, we don’t have the time,” she said. “But, it’s a part of the history of this region, and my research of these ethnic groups,” I countered back. Her deliberate excuses to deny me access to these places infuriated me. It also surprised me. She was right about that part. The road was full of deep ruts and grooves, looking as if left from old farm tractors or wagons. 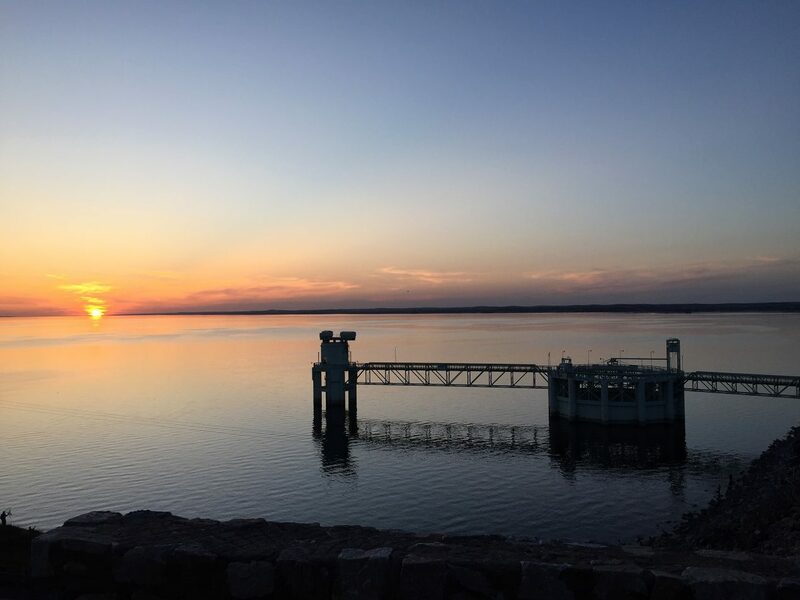 Irrigation streams had dried up, and a foul odor came from the wells no longer producing adequate water supply. My bag snagged on something sticking up from the ground. Pieces of old farm plows lay rusting in their own grave, in a pocket of sunken earth. Not to pass up an opportunity I took out my camera again, focusing on the buildings and barns to get some shots. What was still standing looked abandoned, deserted. A crunching, crackling sound came from behind. My reflexes were keenly acute and aware of any possibility, anymore, ready to react at a second’s notice. Quickly shoving my camera back into my bag, I scanned the ground for something to use to defend myself. Grabbing up a metal rod from the pile of refuse I waited, listening for the quiet irregular steps of someone, near. Agonizing seconds passed when an old man appeared in the clearing. He stood staring at me, his face weathered and calloused. He was dressed in old dungarees and boots. “Who are you? What are you doing here”? Not sure what to say I stood staring back, my nerves on edge, rattled inside my cold, sweating skin. He looked down at my bag and the metal rod I held tightly at my side. I could not be certain where he’d come from or how long he stood watching me from behind the trees, or even if he saw me snapping photos. OK. This old man has a sense of humor. “As I told you, this area is private, not open to the public.” he said, glancing at the metal rod I still held. There was no other alternative but to trust him and follow him out of the brush. Nodding, I replied. “I’m sorry.” Tossing the rod back into the heap pile I let it go, hoping I would not regret my action. Thinking to direct his attention away from my trespassing I went into my ‘reporter mode,’ hoping to dispel the unease and apprehension. “Could you tell me a little bit about the history here? In Transnistria? Are there any residents still living in these little towns?” I asked. A long pause followed, before he answered. Yikes! There’s nothing like getting belted in the gut with a direct comment like that. If he only he knew what I’d ‘uncovered’, ‘exposed’. Another long pause before he answered. He shrugged. “I don’t know. I was told about German farmers who taught the Jews how to farm, manage their village operations. But, the Jews wouldn’t listen to the Germans. They had their own ways. Then the government stepped in and made them move back into the cities. The rest you probably know, if you’re an ‘archivist'”, he said. There was more I wanted to know, but sensed he was through sharing things on the subject, so I stopped with the questions. The sun had gone down, obscured into the horizon’s red, gold blur. The wind calmed. Only the sounds of crickets and night owls could be heard and our steps on the gravel road. The man struggled with his gait, shuffling along, his limp becoming more noticeable as he walked. Bad knees or hip, maybe. The soft glow of street lights in Grigoriopol could be seen from the road. He nodded, as if anxious to be rid of me. Then turned, looking back. “Did you say…Mengelder?” Furrowed eyebrows came together, and his eyes, penetrating with a look of consternation. He nodded again, then turned around and headed east the way we had come, as I turned west towards the lights of Grigoriopol and Olga’s Inn. Under layers of paper was an old book bound together with frayed shoelaces. Brittle black leather binding no longer kept the pages intact, loosened and barely attached to thin threads from the spine when I pulled back the fragile cover. Stain, dirt, and the passing of time had yellowed the thick coarse pages making the handwriting almost illegible, but not impossible for one with keen transcribing skills and knowledge to decipher antiquated rare books. A pair of magnifying glasses from my bag brought the names, dates, and journal logs in closer as I turned carefully the fragile pages. Oh, my… I can’t believe this! Guessing it could be maybe a hundred years old from the looks of the scrawled German script and dated entries I realized there had to be more than one person who recorded information, judging by the name or initials at the end of each entry. It had been remarkably preserved through the years wrapped in paper and protected in the tin. Loose scraps of paper with more notes were stuffed inside the tin, all the journal pages filled up. Consequently, I went without my dessert after dinner. The memory was still as fresh as the smell and taste of her cookies. As I sat contemplating whether I should take it, I tried to vindicate myself from the guilt, feeling like a thief. It is the ultimate treasure! I cannot leave something this valuable behind. It will just rot in the earth, maybe never found, the truth never learned, a story never told. If I can transcribe its contents, it may disclose vital information on the history of this cemetery and its occupants. Maybe it holds the key to some of those padlocked doors, a portal to their world, their era. When I am through with it, scanned and transcribed it all, I will bring it back and return it. No one will ever have to know what I’ve found. An hour had passed before I realized I was running late. Irina will be livid. Wrapping the journal up in the paper I placed it back inside the tin and tucked it down into my backpack then patted the soil down around the hole and tried to reposition the gravestone again in its place. It was too heavy, so I gave up trying. After repacking my cameras and notebook I walked out of the cemetery with my bag. With the journal I had no doubt that whatever wealth of information and history it held it would maybe help in answering some questions I’d had since coming here. What really happened with the German Jewish groups that settled in these parts? Did they go into hiding during the Holocaust? Were they discovered? Are there any still living? It was all I could think about, all I could focus on right now, not worry about whether I was wrong in taking the journal. Delving into the pages of history here was like entering a long, black tunnel. A dark, cold place to be, but the only way through, to find a way out. Feeling drawn to that tunnel now, I entered it, not knowing where it would lead, determined not to turn back. Welcome to my website. I have a variety of just about everything here; poetry, prose, essays, fiction and inspirational stories. I hope you enjoy your reading experience . Thank you for visiting, and I hope you will stop by again. I love meeting new readers, followers and bloggers. Leave a comment if you like. All are appreciated. Copyright: jem47reflections by: Joyce E. Mannhalter Johnson; All content here is created for your reading pleasure, and may be shared with credit given to the author, Joyce E. Mannhalter Johnson, but not to be copied, reproduced or rewritten by anyone except by author; Joyce E. Mannhalter Johnson. Thank you for honoring this request.